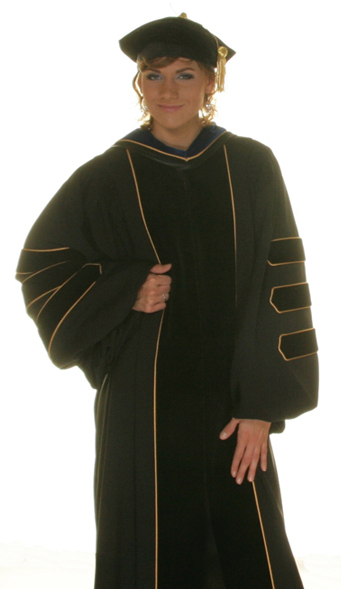 At Cap and Gown Depot, we offer Custom Doctoral Robes, our most popular in-stock Deluxe Doctoral Gowns, and Faculty quality Doctoral and Ph.D. Graduation gowns. 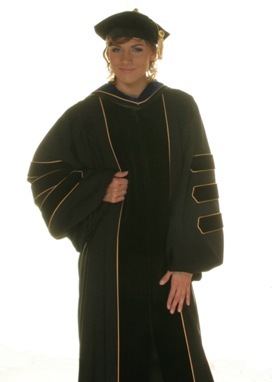 Our deluxe style Doctoral Robes is available with either Black velvet or with Ph.D. Blue velvet. 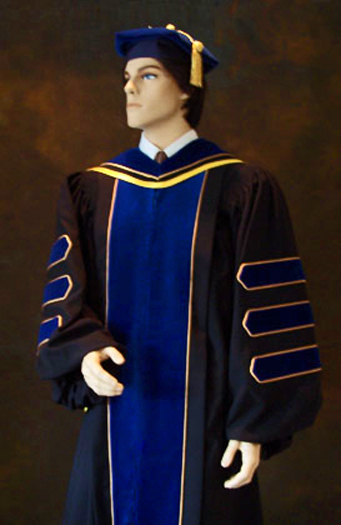 Both of these styles are generally in stock for immediate shipment. 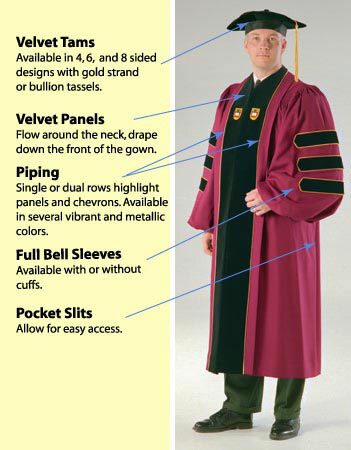 Mortarboards are available at no charge (with purchase of gown), however most Faculty members purchase Tams. 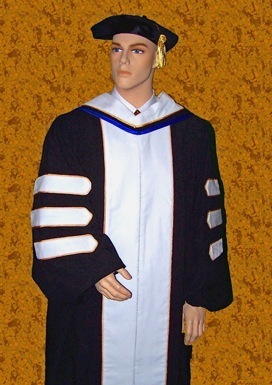 Doctoral Tams can also be special made in other than black velvet (i.e. 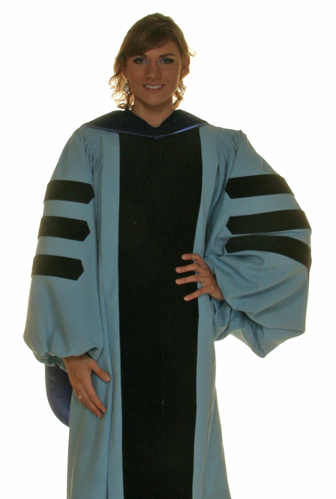 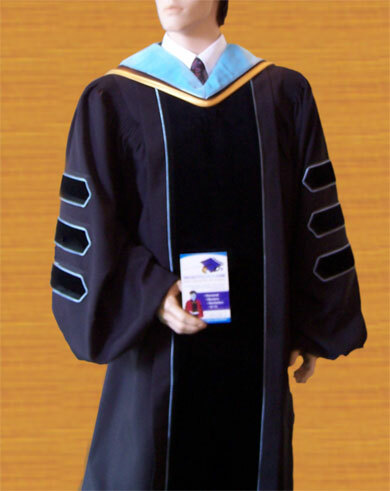 Ph.D. Tams using Ph.D. blue velvet to match the blue velvet on our deluxe Ph.D. gowns) for $20.00 additional. 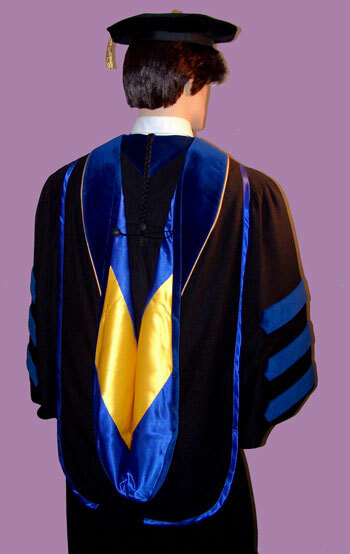 We also make custom Academic Graduation Hoods - Ph.D. hoods and doctoral hoods for all degrees (Ed.D. 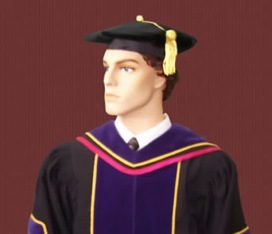 ; J.D. 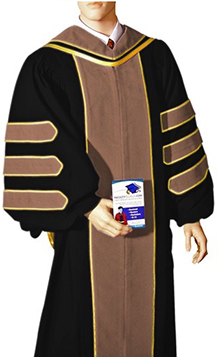 ; M.D. 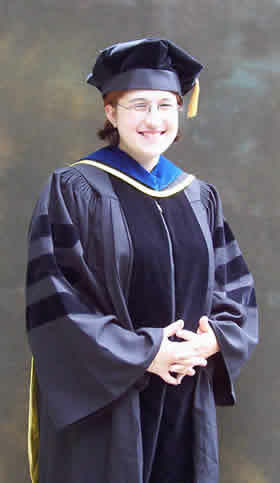 ; D.Sci; D.Div; etc).